The weather is cooling, pumpkin spice lattes are brewing and leaves are falling down. The spaces left by beautiful black-eye susans, petunias and summer planters look awfully empty. How will we beautify our outdoor spaces once more? We have some fall outdoor décor tips that will restore beauty back to your space. 1. Fall Planters: A fall planter fills the space left behind by the summer flowers with plants that are strong enough to withstand cool fall weather and with deep, lush colours that compliment changing tree leaves. 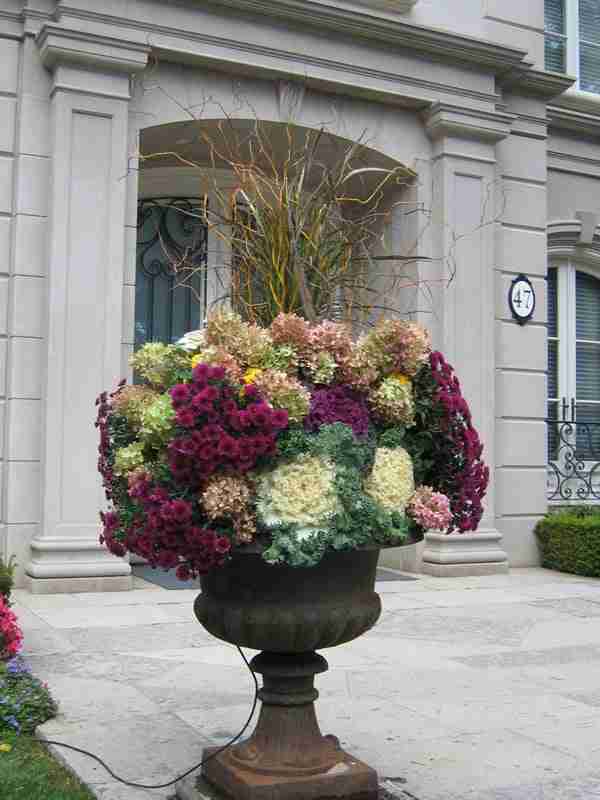 Our team of horticultural experts can create a custom fall planter that suits the character of your home. 2. Pumpkins: Nothing says fall more than pumpkins. A quick Google or Pinterest search reveals an infinite number of outdoor décor uses for pumpkins. Baby pumpkins can be used as a bright accent for fall planters. Large ones can be placed anywhere in your yard or placed together in a visually appealing way. 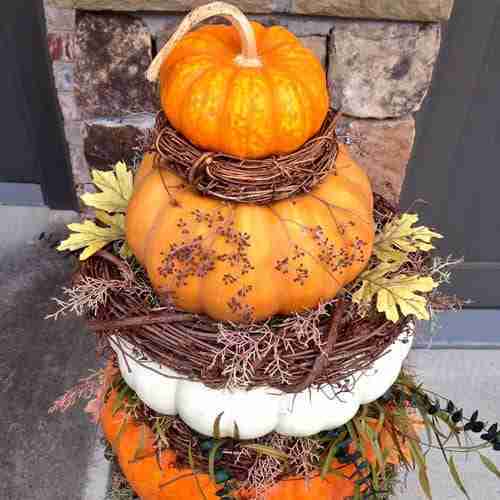 Our favourite is this stacked pumpkin planter. 3. Lanterns: The right kind of lighting can make the outside of your home look warm, welcoming and stylish. As an added bonus, as the nights get longer, a properly lit walkway will guide you safely into your home. Learn more about outdoor lighting. 4. Halloween Décor: At Aden Earthworks, we love Halloween. Many of us take our kids trick or treating or spend the days leading up to the holiday watching such classics as Halloween, Friday the 13th or The Blair Witch Project. We take this Halloween spirit into our landscaping as well. 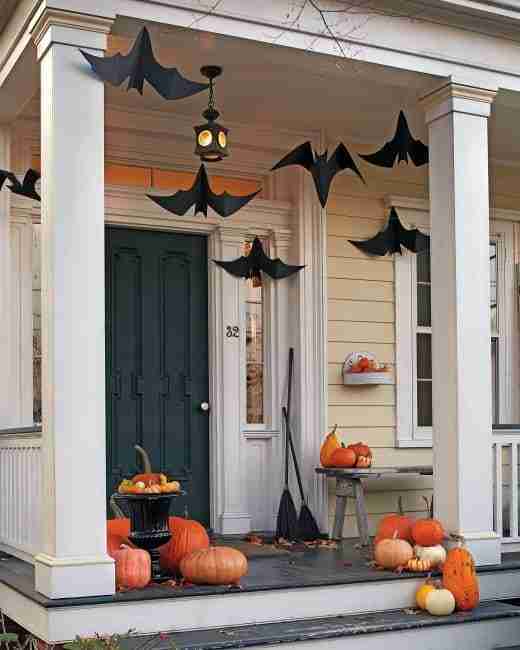 We recommend some Halloween décor that can appeal to Halloween lovers of all ages, from those who like traditional spooky or grown up scare flair. 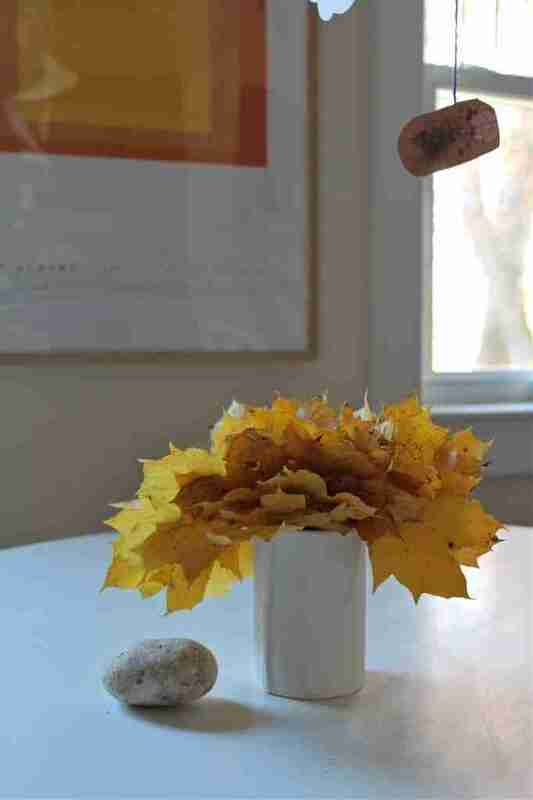 Fall foliage bouquets: One of our favourite landscape and outdoor space blogs shared this easy DIY fall foliage bouquet. Projects such as these will bring your fall outdoor style in. Remember, fall is a short season. Take advantage and enjoy the cool weather, colourful leaves and pumpkin everything!